You can use AFerry to book a Tsugaru Kaikyo ferry around Japan, along the famous Tsugaru straights. Tsugaru Kaikyo operates the Blue Dolphin which is almost twice the size of a jumbo jet, and provides high quality service ensuring you have a comfortable journey. AFerry always has the latest deals and offers on Tsugaru Kaikyo ferries. 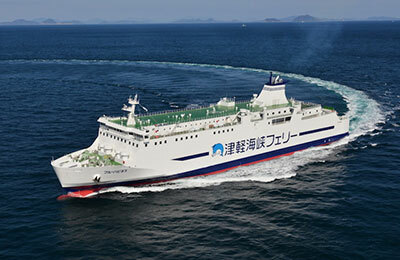 You can use AFerry to book Tsugaru Kaikyo ferries to Aomori, Oma and Hakodate. For all Tsugaru Kaikyo ferry routes and the latest prices and sailing times see below. Click on your ferry route for a detailed timetable with arrival and departure times. Once on board any Tsugaru Kaikyo ferry, you will be overwhelmed at the sheer majesty of the entrance that greets you. 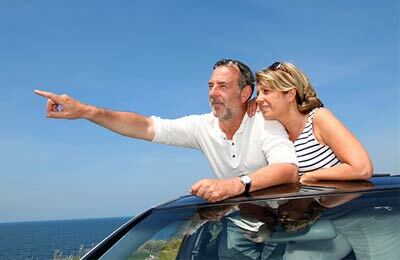 Each cabin is fully equiped and is luxurious enough to be compared with accommodation found in first class hotels. Female passengers will find an exclusive fully carpeted room where they can relax on the 3 hour 40 minute journey, while there is a play area for kids and a games room. 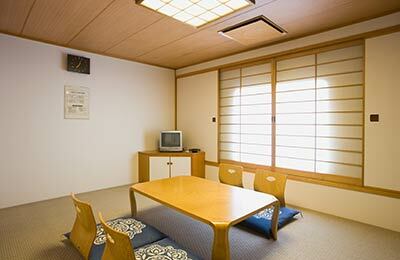 Dogs can be accommodated on the dog deck or in the dog room, at a cost of around 1,000 yen. Tsugaru Kaikyo Ferries fleet consists of three ships; the Blue Dolphin, the Venus and the Virgo, each carrying nearly 600 people across the Tsugaru straights and providing stunning views. How long before departure should I arrive for Tsugaru Kaikyo Ferries? This was a nice leisurely float-across. Very easy to arrange, check in and move on. The gift shop has great stuff for the kiddies. Lovely! I'm used to ferries in England - drab boring vessels, that do the job and get you from A to B. This is not the case in Japan, the Tsugaru ferries typify Japanese culture - beautiful, innovative and funky. It was a real pleasure to travel on this vessel, and to top it off the sea was calm as well!